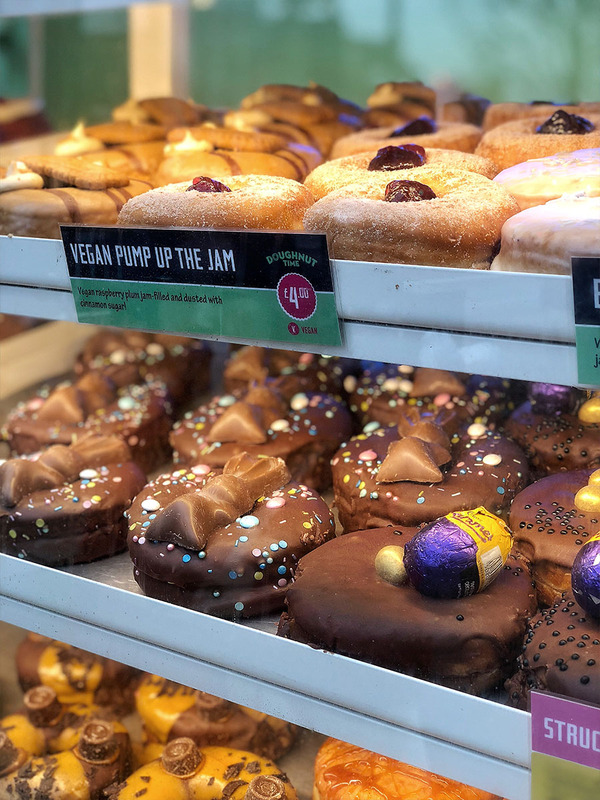 Doughnuts are a big thing in London. 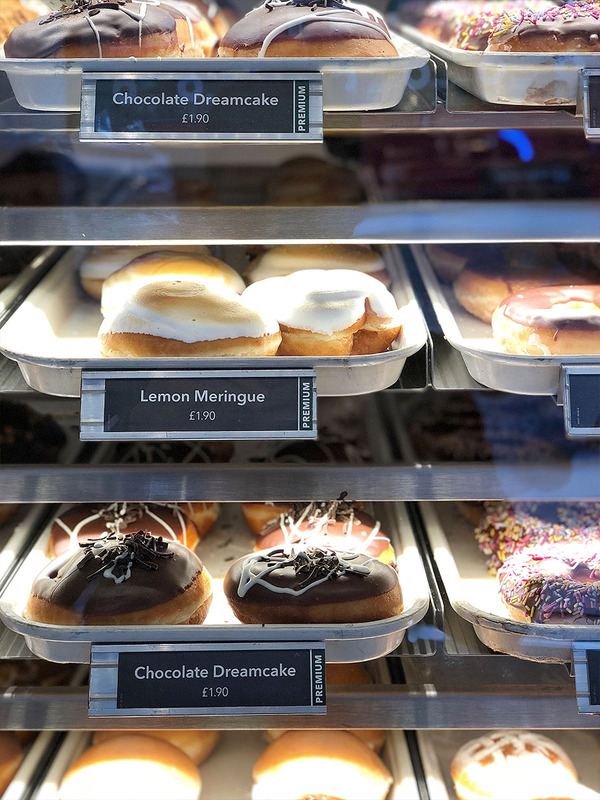 You can choose doughnuts from large multinational chains (Krispy Kreme), to more local stars like Dum Dum Donuts or Crosstown Doughnuts. Fried, baked, cronuts. The list is endless. Last time I started with Crosstown Doughnuts which make some excellent sourdough doughnuts and, to be honest, set the quality bar already quite high. 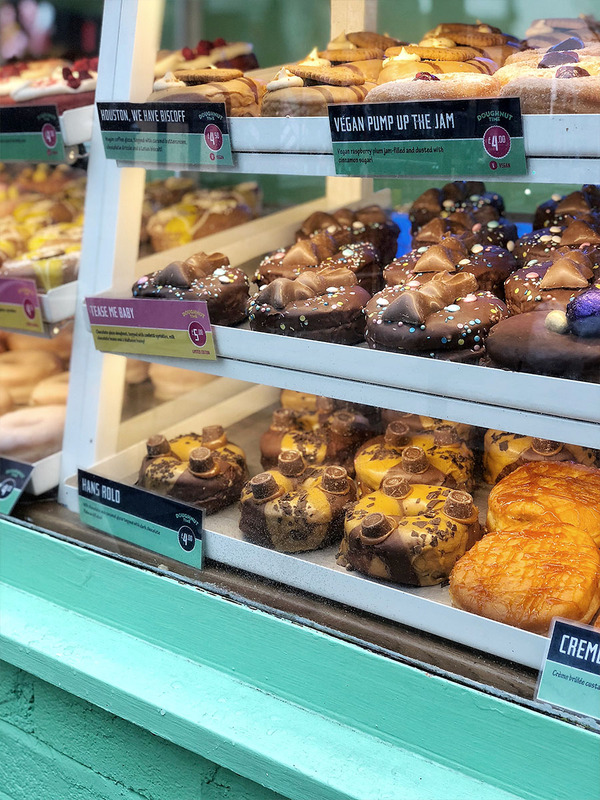 However, as the doughnut scene in London is vast, there are still a lot more doughnuts to try to be able to find the ONE, the best doughnut in London. I spent one Saturday tasting doughnuts at Doughnut Time, Dum Dum Donutterie and Krispy Kreme. 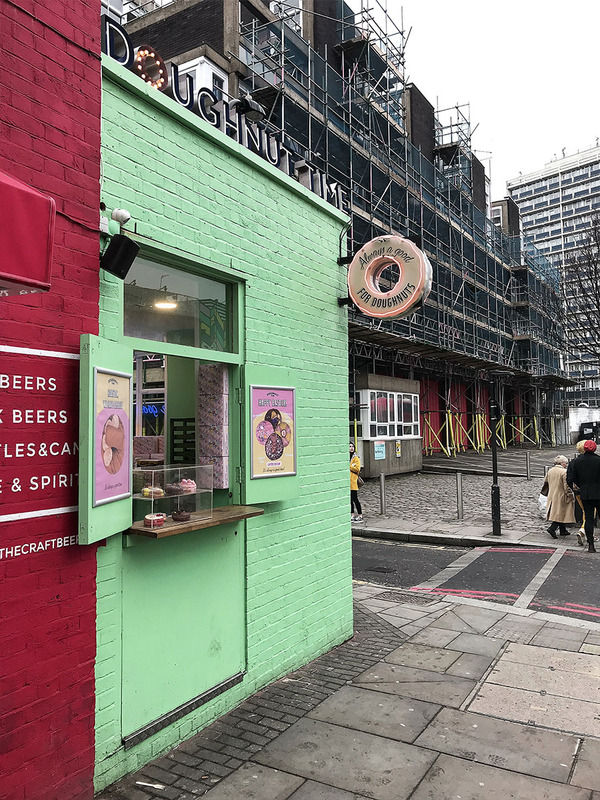 Let's call this article 'The Best Doughnut in London - Part 2'. Also, you can watch the video I made during the day here. And then maybe read the article for more information later. I started the day by visiting Doughnut Time shop near the Old Street. 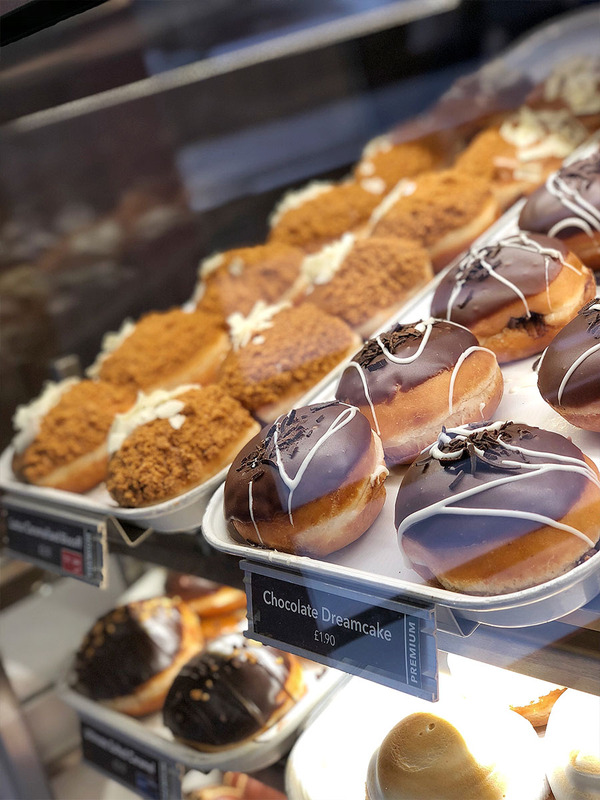 Doughnut Time began as a hole-in-the-wall store in Brisbane, Australia. 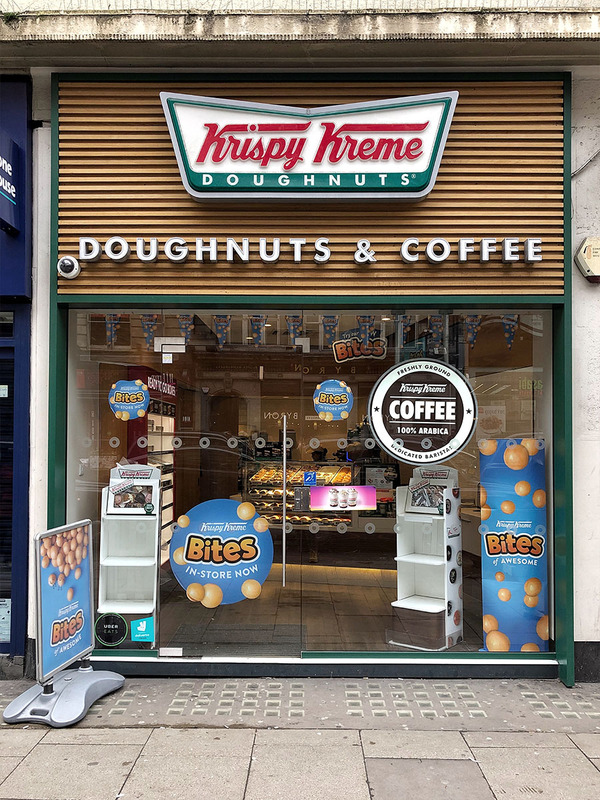 They now opened a few stores around the London, and as you can see from the photos, the hole-in-the-wall concept is used here as well. 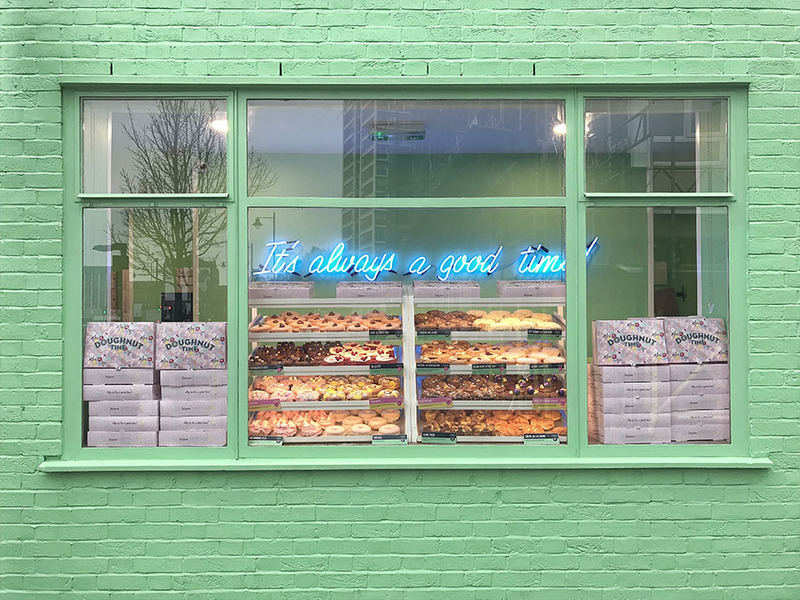 As they are popping up in the most 'best doughnuts in London' lists lately, naturally I had to include it in my list of doughnut places to visit. 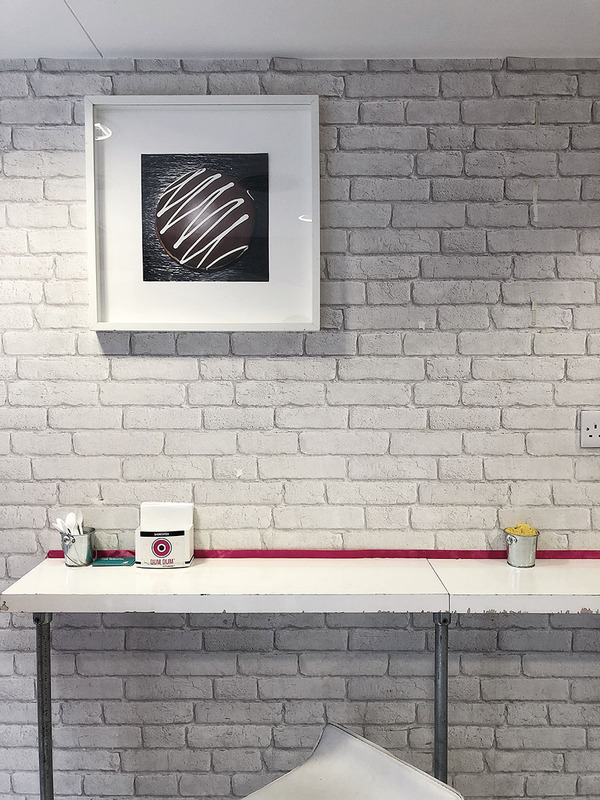 The hole-in-the-wall concept means that you shouldn't expect to sit in and enjoy your doughnut in the store but take it with you. The branding of the Doughnut Time is excellent. 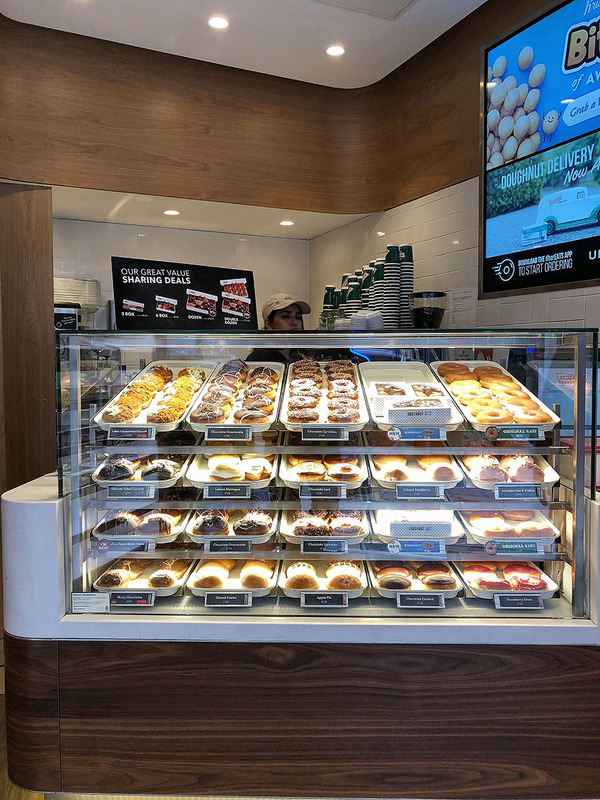 The store looks great, packaging and the doughnuts look amazing. I understood their Instagram popularity straight away, as I could see people constantly stopping by to take photos of the doughnuts. Are Doughnut Time doughnuts as good as they look? The first thing you notice is that the doughnuts are enormous and quite expensive. As usual, I asked for the best seller, and I was recommended the 'IT’S ALWAYS A GAY TIME' doughnut. It’s always a gay time (£4.5) - Milk chocolate glaze, crushed biscuits, golden caramelized crepes and filled with honeycomb custard. 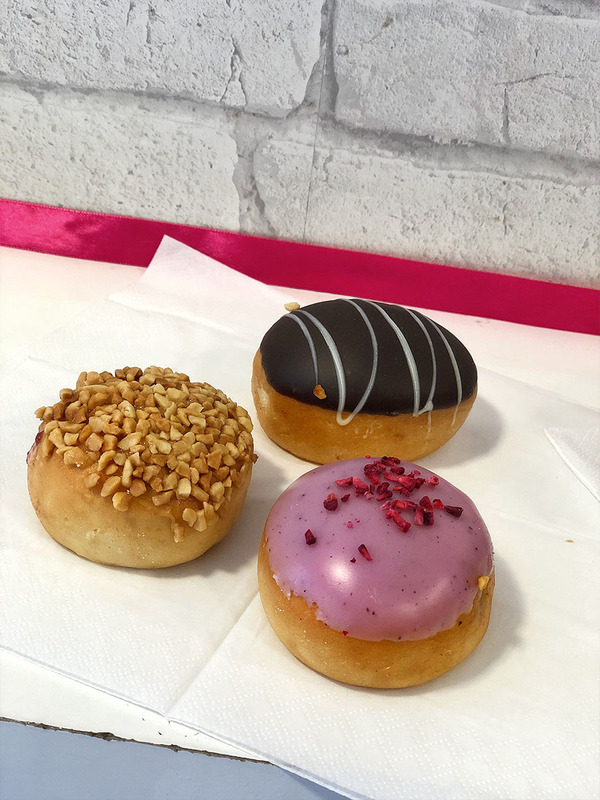 The doughnut was good, but I was a little bit disappointed because I prefer the stronger taste of quality ingredients over the vast amount of sugar. Because of the size of the doughnut and its sweetness, I couldn't finish it by myself. Although, I saw people on Youtube finishing the whole box of Doughnut Time doughnuts by themselves, so apparently some people might prefer something sweeter. 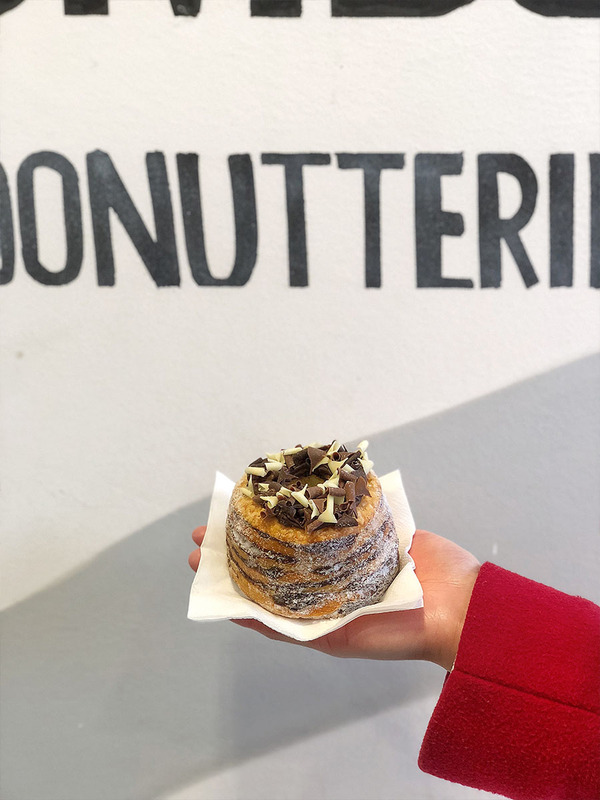 Tastes are very subjective, so if you like your desserts very sweet and you like to Instagram things you eat then Doughnut Time will be the right place for you. The doughnuts look great, and there is a lot of effort put into the presentation. Your Instagram will be on fire. Will I go for doughnuts to Doughnut Time again in the future? Probably not. Dum Dum Donutterie is a walking distance from the Doughnut Time, so, naturally, it became the second place to visit. 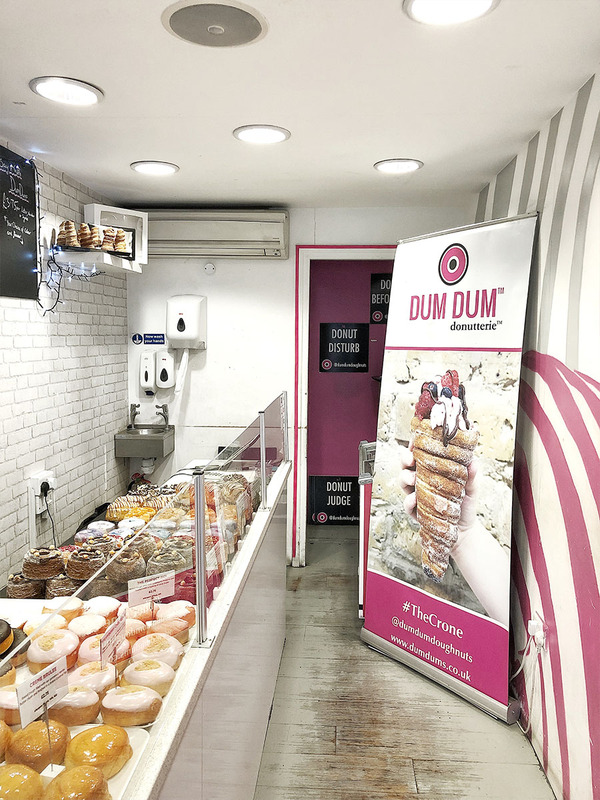 They claim that they are the world’s first artisan baked donut/croissant donut brand and their founder, artisan doughnut chef Paul Hurley, has the bold vision of creating `The Best Donut In The World`. According to their website, they are the only doughnut brand selling in Harrods. Next time when I will be around Harrods, I will stop by to confirm. 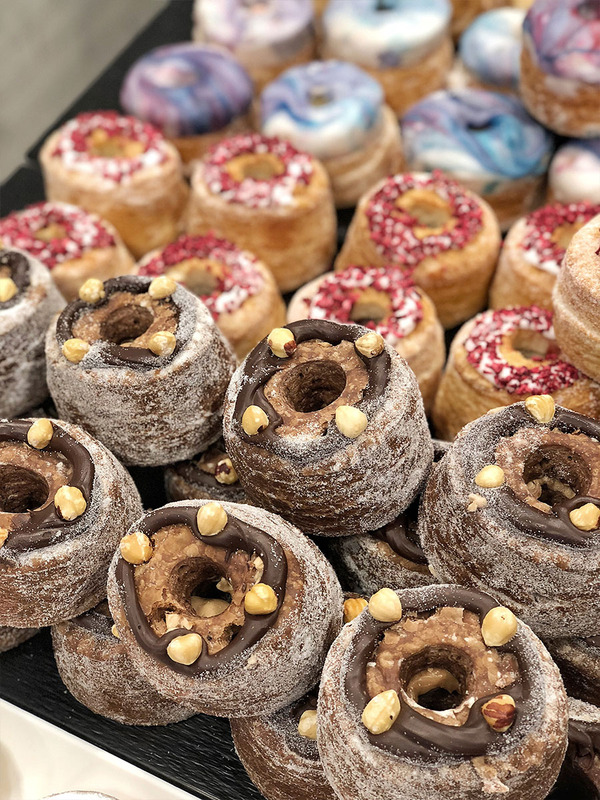 Are these baked doughnuts and cronuts really that good? I bought the best seller, cronut ‘The Zebra’, and three small doughnuts from their mini selection. 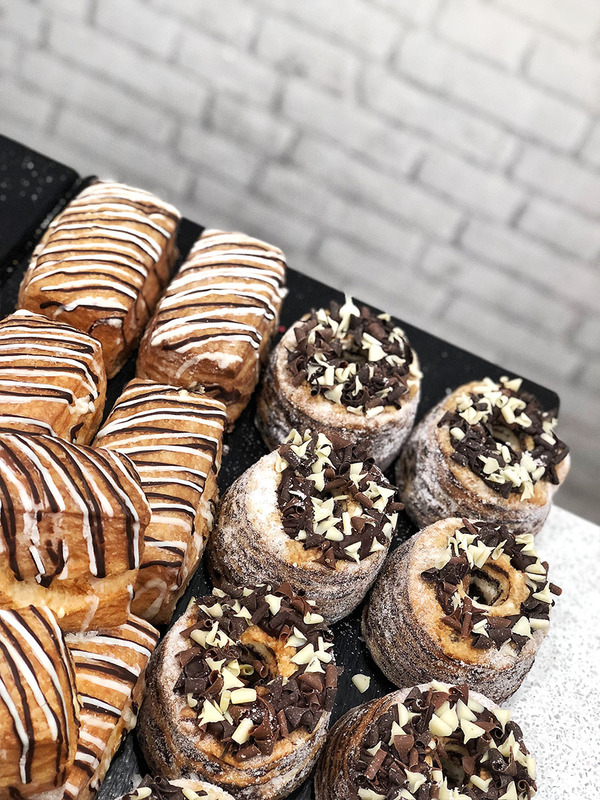 The Zebra (£3.75) - It contains layers of croissant dough and chocolate croissant dough, filled with chocolate buttercream and topped with chocolate ganache. A Cronut is a croissant-doughnut pastry. It resembles doughnut and is made from croissant-like dough. 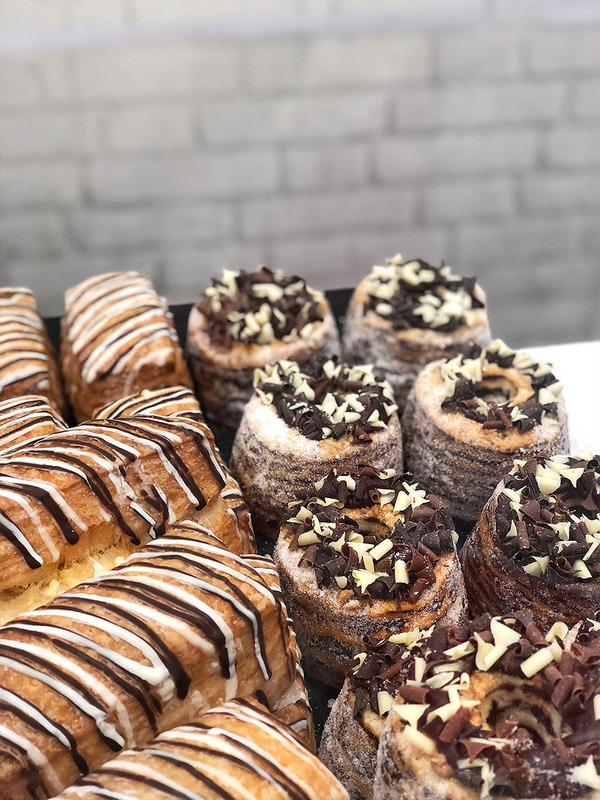 However, because the name ‘cronut’ was trademarked by Dominique Ansel, the bakery owner from NY, most of the cronuts in London and anywhere else are called cro-dough, crodo, dosant or some other combination of words croissant and doughnut. The Zebra was excellent with a delicate balance between sweetness and the rich chocolate flavor. I was impressed with this cronut, and I can understand why it is the best seller. I will definitely come back for more in the future. The Mini Selection Doughnutballs were interesting. Because they are baked, the dough is a little bit drier and less fluffy. However, the fillings were delicious with a great combination of sweetness and flavor. 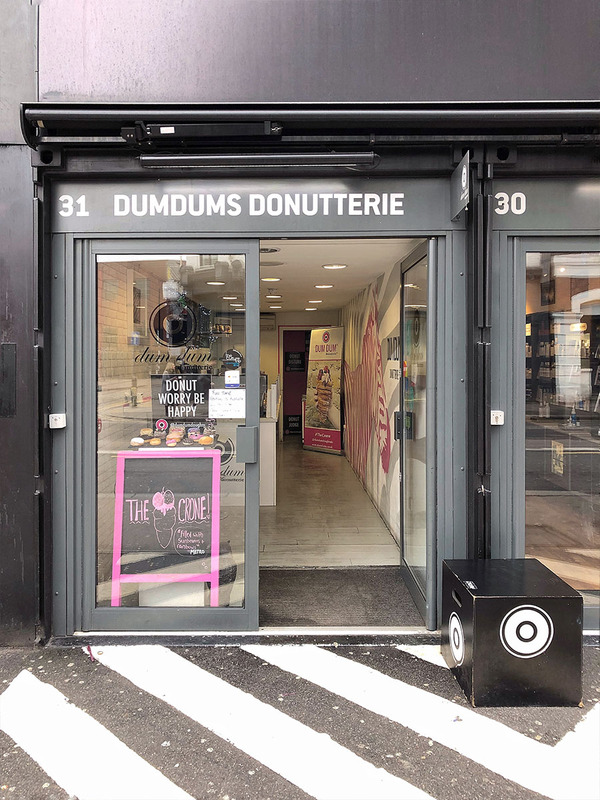 Dum Dum Donutterie undoubtfully brings something unique into the London's doughnut mix, and I admittedly like it. Krispy Kreme is a well-established player in the doughnuts scene. Also, one of the best known around the world. I like to think of Krispy Kreme as the McDonald’s of the doughnut industry. They are all around the world, selling pretty much the same taste in whichever branch you visit. But it comes with the price. According to my research, Krispy Kreme is also one of the most searched doughnuts seller on the internet. Are the Krispy Kreme doughnuts good? I went for the classic. The Original Glazed doughnut and because of the internet recommendations and also the person in the shop, I bought the Reese’s Peanut Butter Kreme one too. 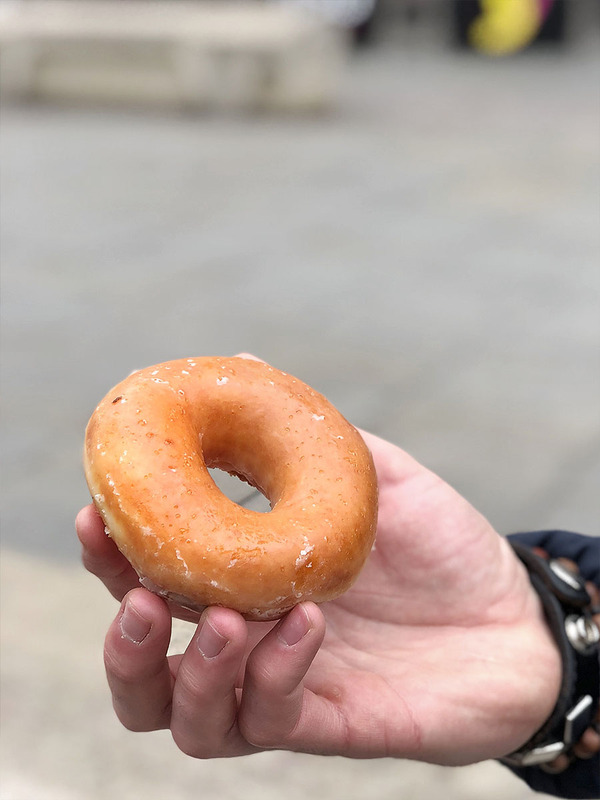 Original Glazed (£1.55) - The classic, simple doughnut only with sugar glazing. 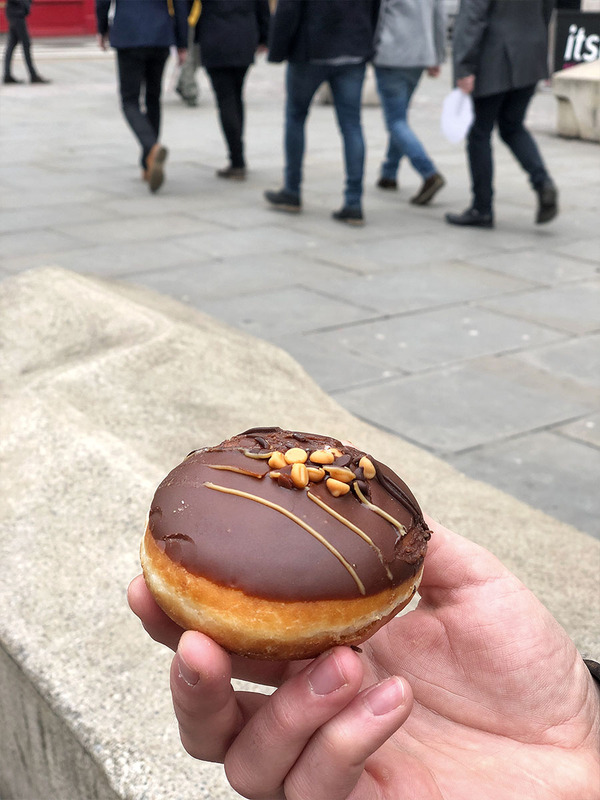 Reese’s Peanut Butter Kreme (£2.10) - Filled with peanut butter cream and with some chocolate layer on top. The Original Glazed doughnut is pretty good. For £1.55 it is the cheapest doughnut I had so far but also the simplest and smallest one. It is the purest possible form of doughnut you can get. It’s sweet, it’s fresh, fluffy and tested by thousands of American cops. On the other hand, the Reese’s Peanut Butter Kreme was quite a disappointment. I don’t believe that the peanut butter cream inside ever touched peanuts. It had the most artificial taste from all the doughnuts I tried so far. Krispy Kreme has the cheapest doughnuts from all doughnut shops I visited. But it comes with the price of lower quality. As I mentioned above, I am happy with the Original Glazed doughnut. For £1.55, you will get a decent simple doughnut which you will enjoy eating. 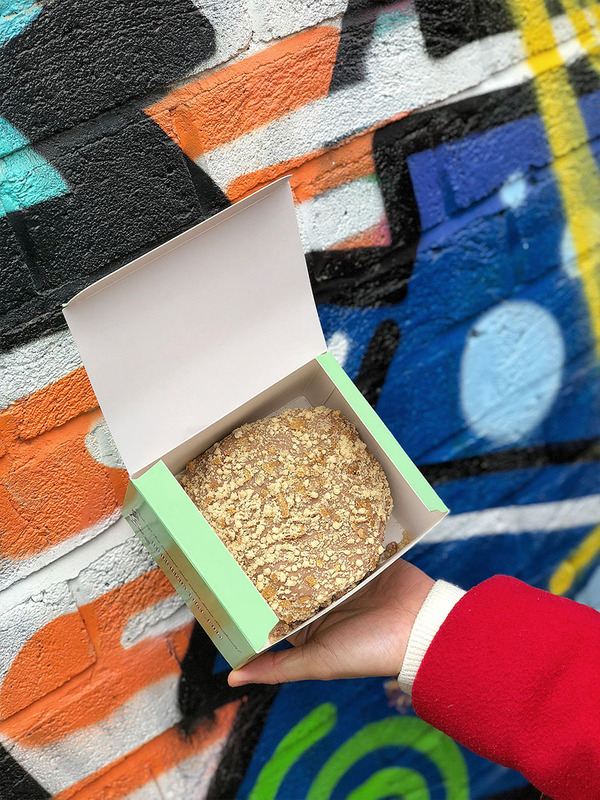 However, if you want to try something different and with richer taste and variety of flavors then I would instead try to find the extra pound or two and go for some more artisan doughnut shop or bakery which are plenty all around the London. It offers something very different and unique. Everything was fresh, tasted great and wasn’t unnecessarily sweet. I could tell from the taste that they use good quality ingredients in their products. My second choice would be the Original Glazed doughnut from the Krispy Kreme. It’s cheap, simple and tastes exactly how the simplest doughnut should taste. In my list, the Doughnut Time comes last. As I already mentioned, I can understand why it is so popular on the internet. Doughnuts look tremendous, and branding is impressive. However, their doughnuts are not very interesting taste-wise, and their sweetness is over my limits. I hope you enjoyed this review. 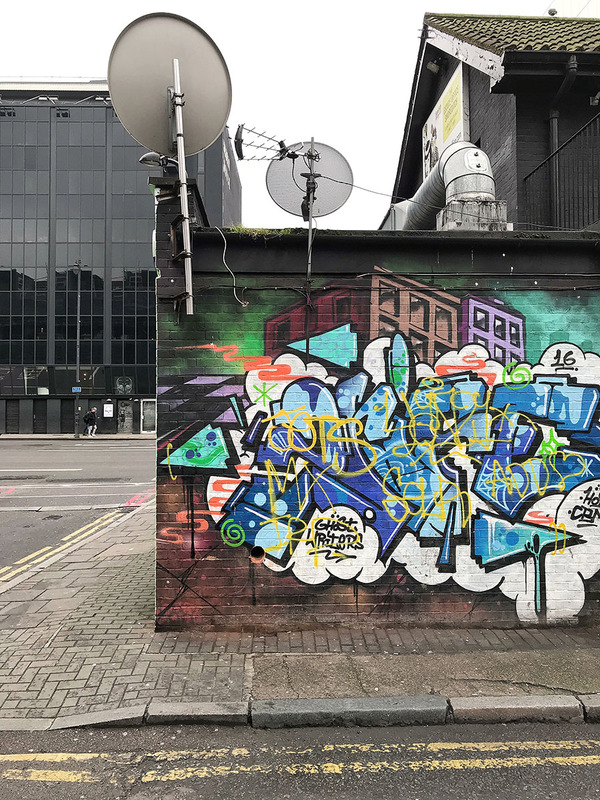 There are still a plenty more doughnuts shops and bakeries to visit in London, so this is not the final article on this topic. 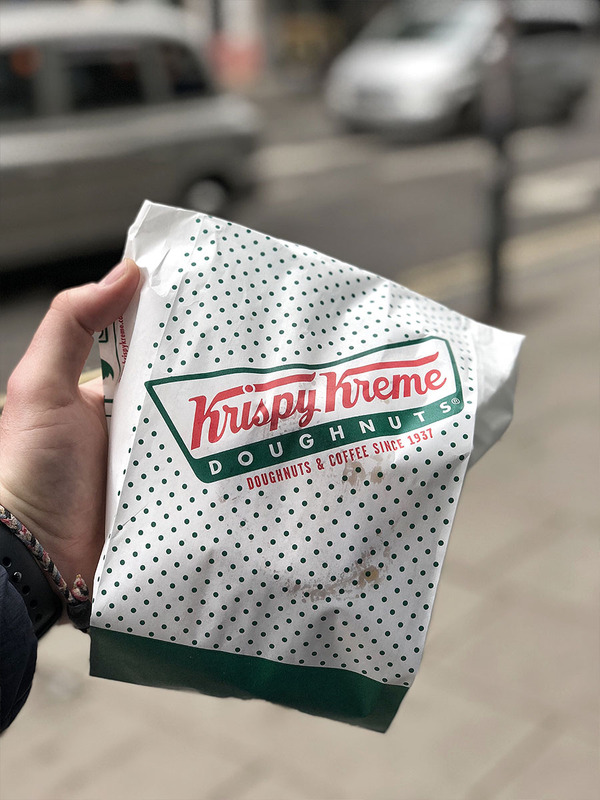 In the meantime, please let me know in the comments below which doughnuts you enjoyed the most in London.